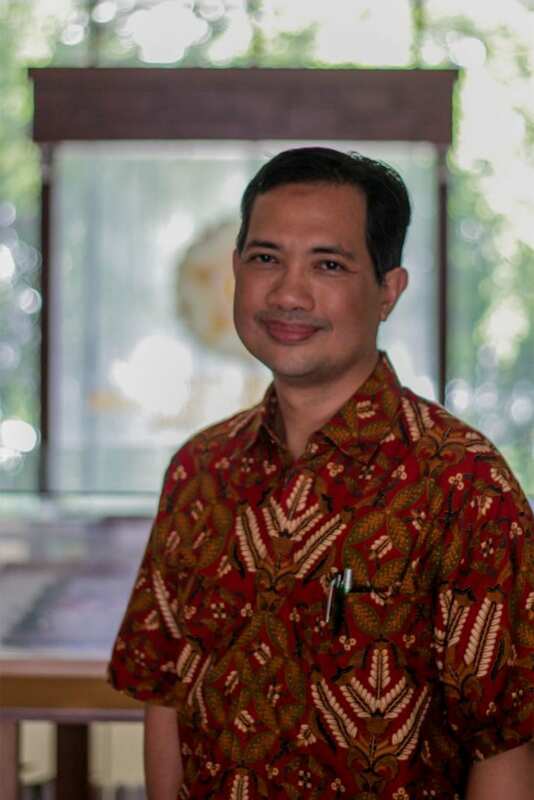 Dr. Yodi Mahendradhata is currently the Vice Dean for Research and Development, Faculty of Medicine, Public Health and Nursing, Universitas Gadjah Mada. He is a medical doctor by training and he obtained a Master degree in International Health from the Institute of Tropical Medicine, Charite Medical Faculty, Humboldt University, Berlin, Germany. Dr Mahendradhata completed his Doctorate in Medical Science at the Institute of Tropical Medicine, Antwerp, Belgium and Ghent University, Belgium. He is currently leading the South East Asia Regional Training Center for Health Research supported by WHO-TDR. He has led developments of national strategy for implementation research, national strategy for tuberculosis control and country proposals to the Global fund to Fight AIDS, TB and Malaria. His research interests are in the fields of global health, implementation science, disease control, health policy and health program management. Dr Mahendradhata was an Alexander von Humboldt Foundation visiting scholar at the Institute of Public Health, Heidelberg University, Germany. He has authored and co-authored numerous peer reviewed articles published in reputable international journals. He has been awarded the Scopus Young Scientist Award by the United Nations University, Elsevier and Alexander von Humboldt Foundation. My current interest is currently advancing implementation science, research and practice, this include: identifying common implementation problems; understanding the factors that hinder or facilitate access to health interventions; developing and testing solutions to tackle implementation barriers; determining the best way to introduce potential solutions into a health system, or learning how to promote its large scale use and sustainability. Mahendradhata Y, Trisnantoro L, Listyadewi S, Soewondo P, Marthias T, Harimurti P, Prawira J (2017). The Republic of Indonesia Health System Review. New Delhi: World Health Organization on behalf of Asia Pacific Observatory on Health Systems and Policies. Ravinetto R, Becker SL, Sacko M, El-Safi S, Mahendradhata Y, Lutumba P, Rijal S, Lim K, Sundar S, N’Goran EK, Verdonck K, Utzinger J, Chappuis F, Boelaert M (2016). Governance and Standards in International Clinical Research: The Role of Transnational Consortia. Am J Bioeth. 2016 Oct;16(10):59-61. doi: 10.1080/15265161.2016.1214317. Probandari A, Widjanarko B, Mahendradhata Y, Sanjoto H, Cerisha A, Nungky S, Riono P, Simon S, Farid MN, Giriputra S, Putra AE, Burhan E, Wahyuni CU, Mustikawati D, Widianingrum C, Tiemersma EW, Alisjahbana B; Tuberculosis Operational Research Group (TORG) (2016).The path to impact of operational research on tuberculosis control policies and practices in Indonesia. Glob Health Action.Feb 25;9:29866. doi: 10.3402/gha.v9.29866. eCollection 2016. Mahendradhata Y. (2015) The case for stronger regulation of private practitioners to control tuberculosis in low- and middle-income countries. BMC Res Notes. 2015 Oct 23;8:600. doi: 10.1186/s13104-015-1586-x. Mahendradhata Y, Lestari T, Probandari A, Indriarini LE, Burhan E, Mustikawati D, Utarini A. (2015) How do private general practitioners manage tuberculosis cases? A survey in eight cities in Indonesia. BMC Res Notes. 2015 Oct 14;8:564. doi: 10.1186/s13104-015-1560-7. Mahendradhata Y, Probandari A, Widjanarko B, Riono P, Mustikawati D, Tiemersma EW, Alisjahbana B(2014). Embedding operational research into national disease control programme: lessons from 10 years of experience in Indonesia. Glob Health Action. 2014 Oct 23;7:25412. doi: 10.3402/gha.v7.25412. Mahendradhata Y, Souares A, Phalkey R, Sauerborn R(2014). Optimizing patient-centeredness in the transitions of healthcare systems in low- and middle-income countries.BMC Health Serv Res. 2014 Sep 12;14:386. doi: 10.1186/1472-6963-14-386.